Lessons - do not use How do I build a compelling customer proposition? Every salesperson needs to create something that’s compelling for their customers. 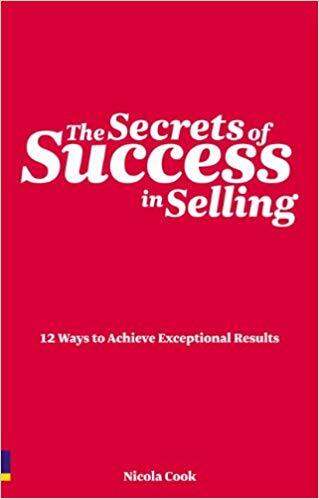 In this lesson, Nicola Cook, author of The Secrets of Success in Selling, explains how to take the value that a company offers and make it compelling. Grant Leboff: One of the things that you talked about in the book – obviously anybody selling anything needs to do – is create something that’s compelling for their customers. To take that value and make it interesting. How do you go about doing that? Nicola Cook: There’s two sides to this question. The first one is more strategic and then the second part of it is the skillset. The strategic part is about really being clear about what we call it a UDP, a Unique Differentiating Proposition and, and what is that in your marketplace? What makes your business, your business? What is the part of the market that you serve that is unique and different? That’s more of a strategic decision and that’s more about doing understanding where you sit within your market and where you can really forge ahead and create value in a way that nobody else can, and that will really give you a market edge and allow you to accelerate the growth of your company. From a salesperson’s perspective though, it’s about how do you take that value and make sure that you’re communicating the benefits and there’s a really, really simple technique. We need to learn the difference between features and benefits and people often think they’re talking benefits when they’re actually talking features. So the way to distinguish this is; a feature is something that a product or service has or it does and the benefit is the difference that it makes. It’s the difference in the impact that it actually has on the customer. So when I’m teaching this in a classroom environment, I pick any item, I have a slide, I show a briefcase and I’ll shout out and say, shout out a feature of this briefcase and somebody will say it has a lock and I’ll go, what’s the benefit of that? And they’ll say, it keeps you paper secure…. What’s another feature? Oh, it’s got a handle, great – what’s the benefit? It’s easier to carry. Then we put this into this format that I call compelling statements. A compelling statement is basically how you explain, first what the feature is and then what the benefit is, and the magic words that link the two is quite simply ‘which means’. And if you can just imprint that in your brain or write it in red pen on your whiteboard, it reminds you to stop just talking about locks and handles and talk about security and something being easy to carry. Often a test that I do with companies is I’ll read the website copy or I’ll read their brochure copy and I’ll highlight all of the features, all the things they talk about what we do or how we do it without actually translating that into something that means something to the customer…. We do this, which means what?, We offer this.. why, what does that mean? And it’s a bad habit that a lot of people get into. We assume that just by talking features and saying what we can do, that the clients and the prospects will be able to convert them into benefits in their own mind. But a much more sophisticated way of selling is to just make sure that you’re absolutely being clear about; ‘I’m suggesting this because it does this, which means this.’ And that’s really the three components of a compelling statement. Say what it is, say why you’re saying it and explain the benefit of that to the customer… and it’s a habit. Grant Leboff: Of course, all of this pre-supposes that they’ve got this unique differentiating proposition in the first place. Grant Leboff: I think lots of people – in my experience – think they do, and when you drill it down, they really don’t. Which means then, of course, their salespeople aren’t armed with the right goods before they go in. So how do you ensure that people get that unique differentiator to start with, because often people think they have it but they don’t? Nicola Cook: Or they had it and they’ve lost it because the market’s moved on around them. And that’s a more strategic conversation that needs to happen and be reviewed at a higher level within the organisation. You’ve got to keep in touch with really what’s happening in the market, what your sales people are telling you that’s happening and one of the key indicators that you are losing it is that you’re starting to get beaten on price. Or you’re not getting beaten on price, but your salespeople are using price as the only lever as a way to deliver value. And if your salespeople are coming back and saying we’re too expensive, it means that the value that you’re offering has lost its position in the marketplace. So you have to look at what we call, ‘make sure you’re aware of what Mr Market is doing’. Make sure of what’s changing in the world around you. Keep your tabs on both consumer behaviour and business to business behaviour and keep refining that proposition, whether you do it through innovation – actually developing something that’s new. Whether it’s through a way in which you offer your product or service or package it in some way that can be unique or different. Or whether it’s just the part of the market that you focus on, so you’re the best of serving that type of sector or that type of market. What’s the promise that you make that you know, that you can sustain and then arm your people with the tools and the language and the value to be able to then really communicate that well within, within the market and the sector.